The Cincinnati Bearcats hit the last stop of the 'Lance Stephenson New York City Reunion: Regular Season' as they head to Madison Square Garden to play the St John's Red Storm. For the second time in a row, the Bearcats play a team on the road that's 0-3 in the Big East. 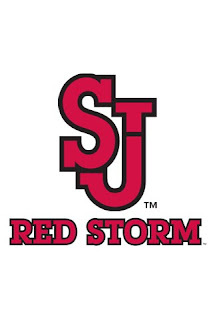 Like Seton Hall, the Red Storm have lost to the upper tier of the conference. And Providence. The Red Storm have beaten Temple, while losing to Cornell, so we know they are an up and down team. The Red Storm received a boost in their last game as 38th year senior Anthony Mason Jr returned to the line up. He posted 5-1-1 against Louisville. This is a game that the Bearcats really need if they are going to put themselves in the upper half of the league. This 4 game stretch is sweepable, and it starts tonight. Let's see how the Bearcats and Storm match up. The teams match up pretty evenly on offense, with the defensive edge going UC's way. The Red Storm are powered by DJ Kennedy as you can see by the stats. It'll be interesting who Mick Cronin sticks on him. I'm guessing Stephenson, maybe a little Larry Davis and definitely Rashad Bishop. I watched the St John's v. Louisville game and this is a team the Cats can force into bad shots. The Cards made a big second half run to pull away, and while I'm not saying that's something UC will replicate, they can do that. The question is what do you get from the offense? The team has streaks where they can't miss, and then go into a coma. It's very important to maintain the offense the whole 40 minutes. Playing 30 minutes of offense will end up in a loss in the Big East. Deonta Vaughn has been on fire lately, and I think that will keep up. Lance Stephenson hopefully won't come out too jacked up, and will have another solid all around game. DJ Kennedy is going to get his, the key is keeping everyone else quiet. I expect St John's to put on a game performance, but for the Cats to come out with a win. 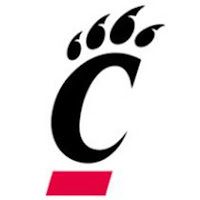 Prediction: Cincinnati 68 St John's 62.